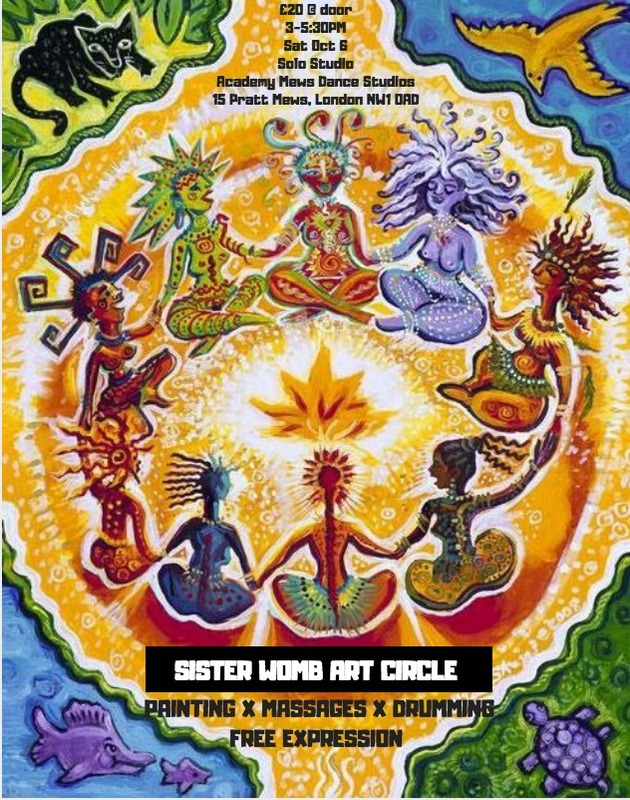 It is beautiful and transformational to gather with women and to create space and time to connect with our wombs and with one another. It is very powerful to be together and to awaken to the wisdom and intuition of our wombs. Myself and Inka Linda facilitated the workshop and allowed the beautiful women to immerse themselves in their femininity, magnificence and Divine Self. During the workshop, Inka guided us through a womb meditation and we had the opportunity to listen to our inner voice and relax deeply. Our wombs are a portal to the divine and speak to us in the silence of our presence! Let’s hear Her voice and allow Her to come forward and guide us in our lives! Let’s give Her the power to be fully alive, awake and free! During the workshop we danced, we cuddles, we shared touch and massage and let our divine wild creativity pour through art. The most profound part was when we sat together and gave each other the permission to just be. To be seen, to be heard, to be vulnerable, to put the mask down and put the walls down. To give ourselves the permission to be wild and free and express our true authentic self. We expressed ourselves through art, painting, movement and intimate sharing. I am so touched by the honesty and transformation that takes place during such gatherings and the openness and vulnerability of the women who took part. I look forward to sharing more with you! Please watch this space for future events!